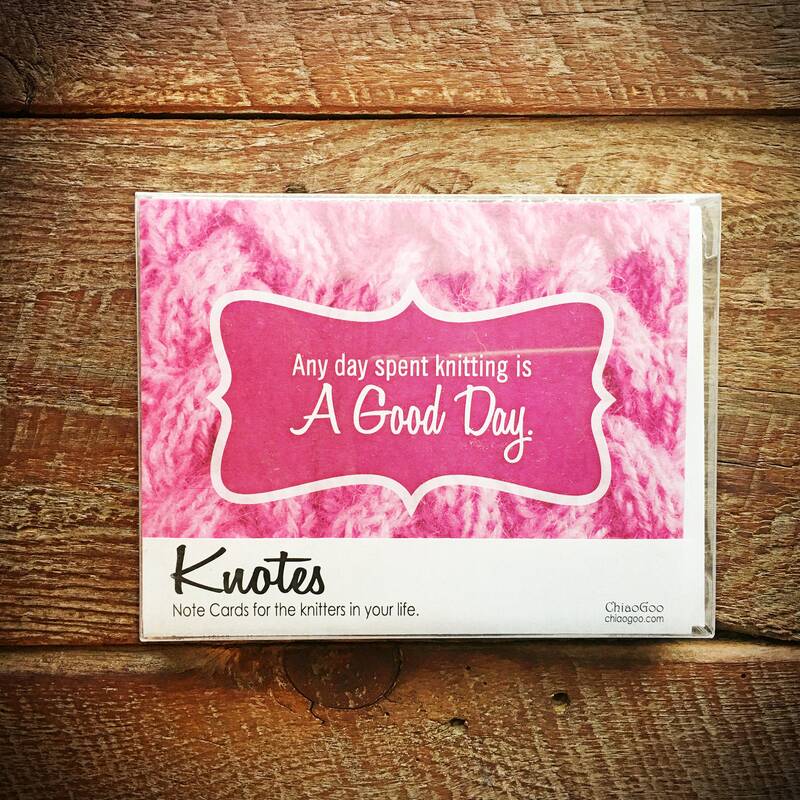 These new Knotes and Crotes are note cards specially designed for the knitter or crocheter. 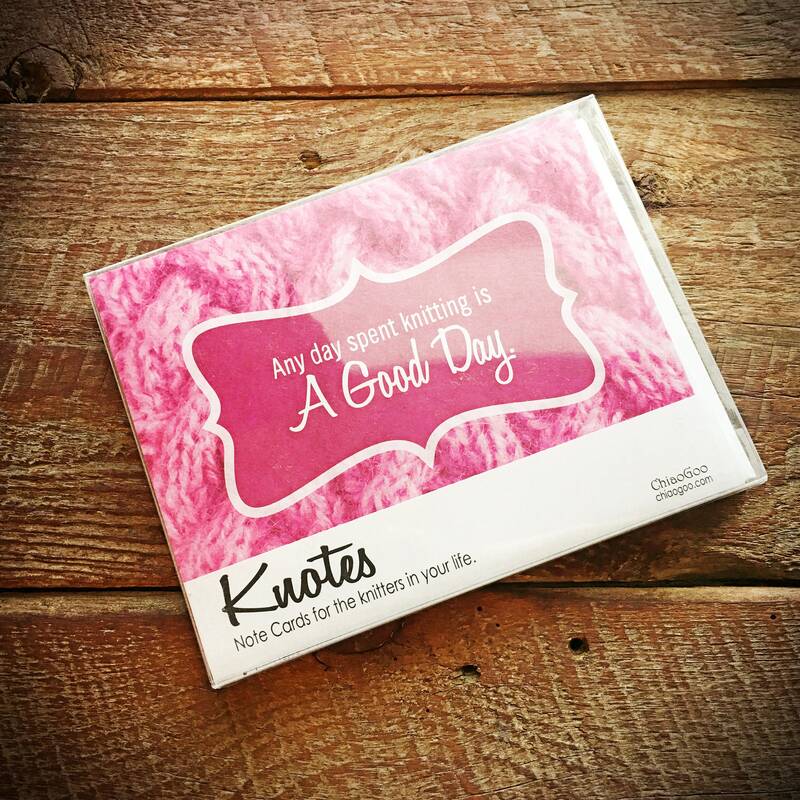 Sentiments that we can all relate to are on the front and are perfect for adding that lovely extra touch to your gift (or handmade knitted or crocheted item from your shop!) 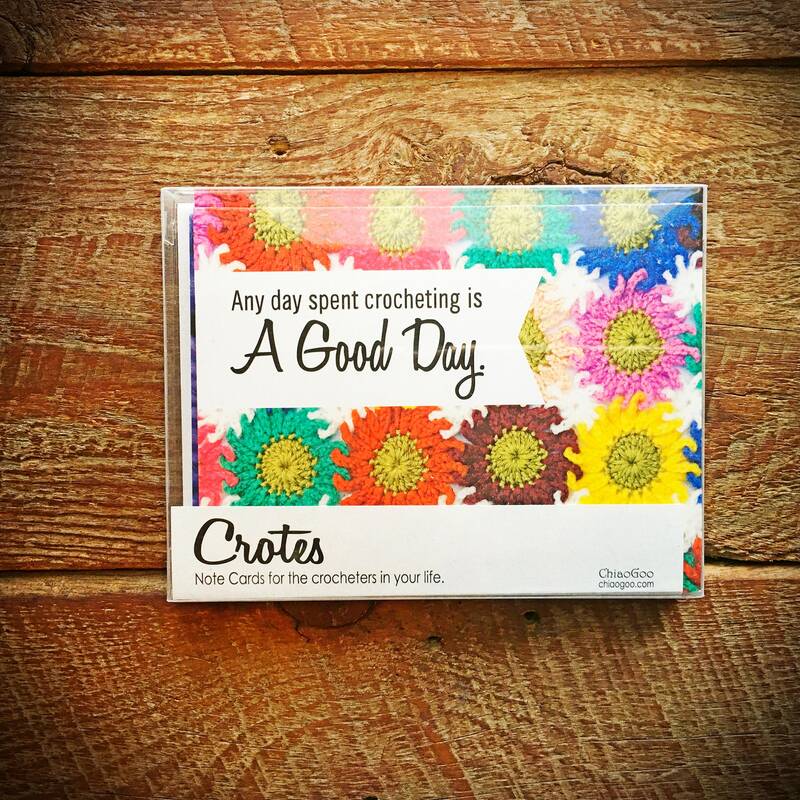 or to send a note of encouragement to that crafter in your life. 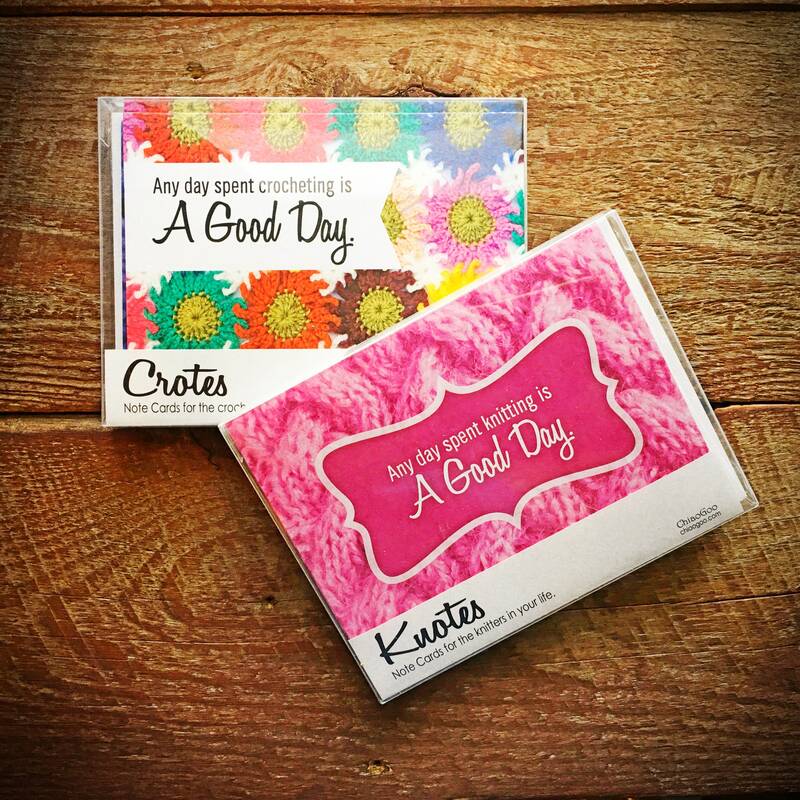 Each set comes with eight cards; two of each design and the envelopes are included. They are blank inside. 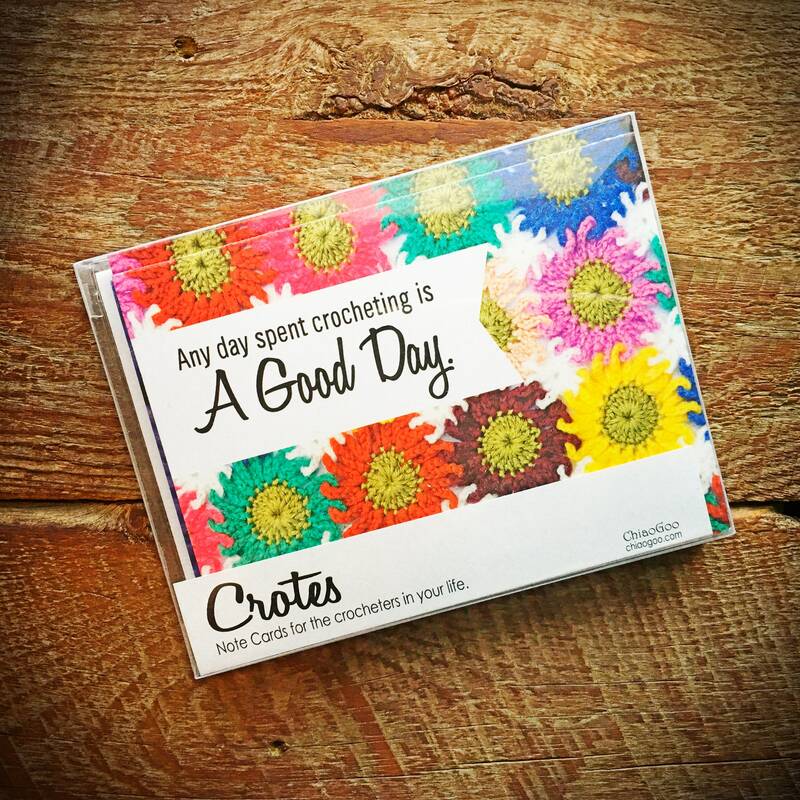 Printed in the USA on 30% post-consumer waste card stock (because if you waste not, you want not!). 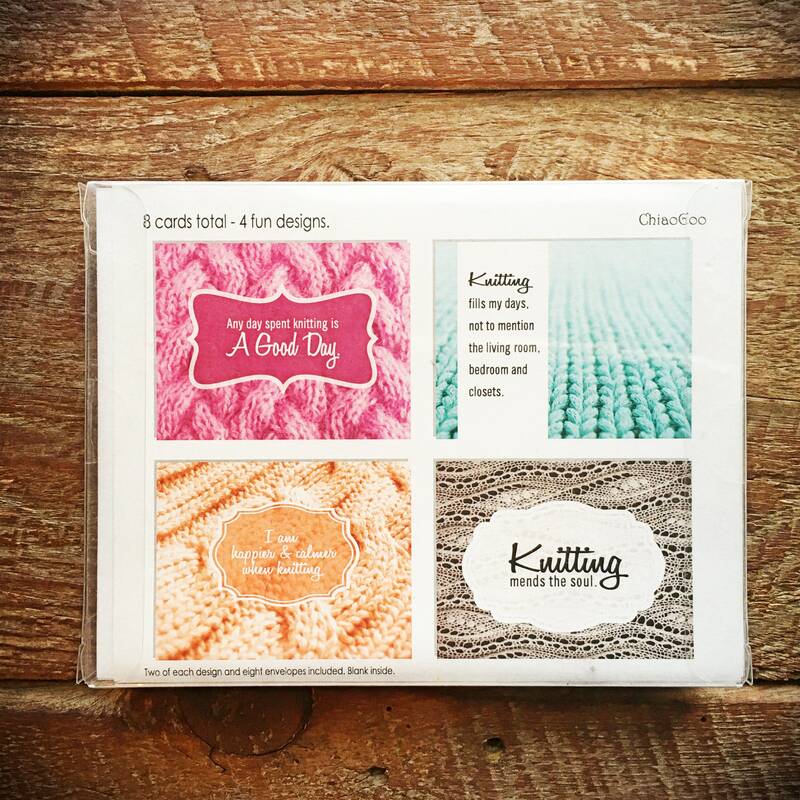 Choose from notes for knitters, crocheters, or one of each!